One of the key strategic consulting ideas over the last twenty years has been the concept of an industry as an ecosystem. This business view states that an industry can be thought of three levels, the market, hierarchy, and ecosystem. Markets facilitate the transaction of goods and services. 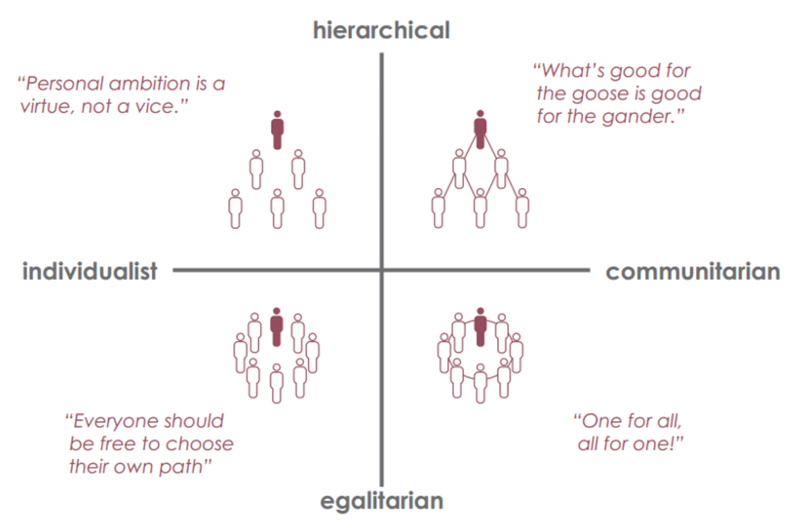 Hierarchies facilitate the the control of activities that produce the goods, and the ecosystem facilitates the coordination of innovation and co-evolution of firms. The ecosystem defines how firms interact and grow. Regulation and innovation may not allow co-evolution with the same market players or it may force changes in the hierarchy. 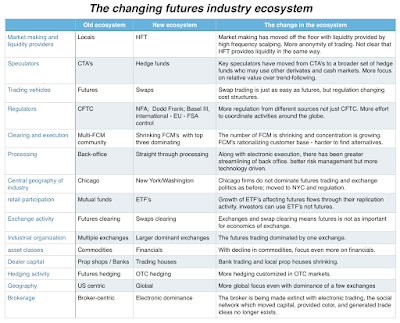 The futures industry ecosystem has changed significantly with new technology and regulation causes all firms to adapt. The innovation of easy electronic trading has done everything from unbundling brokerage services to cutting the cost of execution and eliminating the social network of trading. Regulation has changed the cost of playing in futures and has redefined the activities of many players. 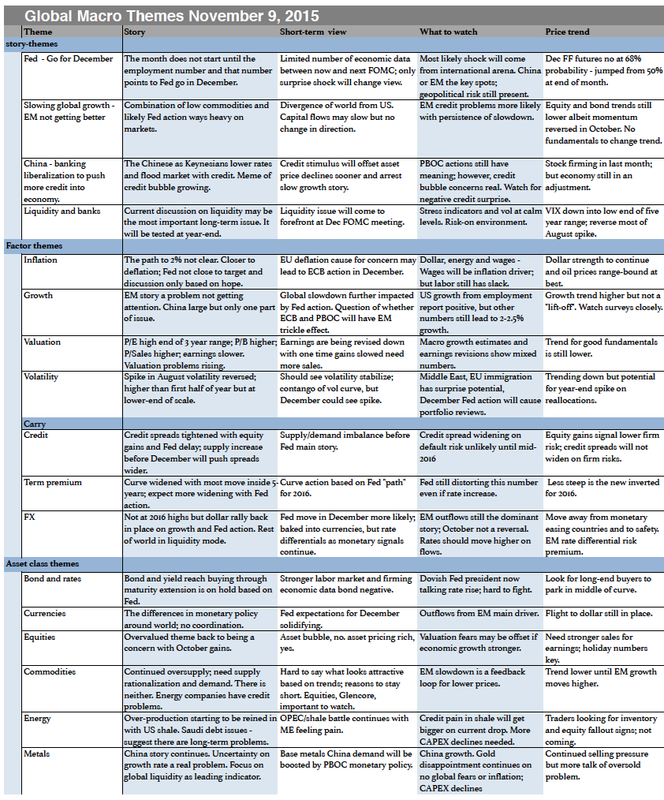 The table below outlines just a few of the changes to the ecosystem. If you liked the old system, then you will conclude the current system is broken. The ecosystem is evolving and in the transition, old firm behavior will not work. Those who cannot adapt will fail. The former dominant species are being pushed aside and the skills to live in the current ecosystem are very different. Technological savvy behavior is more important than the trader skill of understanding the feel of the market. Understanding the regulatory environment is critical for success. If you cannot adapt to technology and regulation, you will be marginalized. In this new environment, we may not be certain of liquidity in a crisis. We don't know whether price behavior will be the same as before. 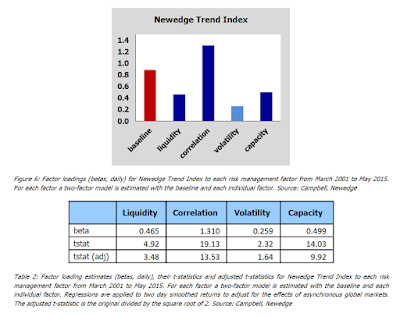 Liquidity providers will change. This is more than just saying that there is Darwinian "survival of the fittest" competition. The ecosystem is not the competitive actions of one firm but how the systems in total fits together. There are financial intermediaries that did not exist a decade ago. There are suppliers of technology for trading and risk management who did not exist. The "forest" where futures trading occurs has changed. Broken, maybe. Evolving, certainly. If you are reading this blog you have a lot to be thankful for and it is not because of my thinking or writing. 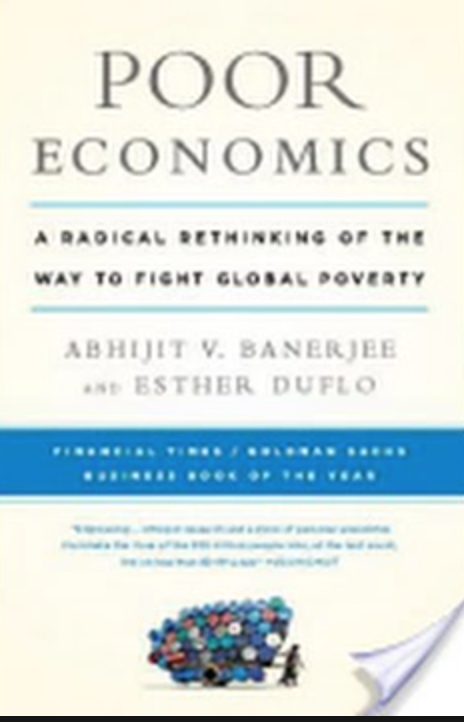 Enjoy the day but carve-out some time to read Poor Economics: A Radical Rethinking of the Way to Fight Global Poverty by Abhijit Banerjee and Esther Duflo between now and the end of the year. We don't have to be powerless with the problems of poverty. Poverty can be solved or at least reduced through thinking clearly about the economics of incentives and behavior.The solution is not big programs nor some form of free markets. It is about finding ways to have programs that incent behavior that will allow people a way out of poverty traps. It requires new thinking and experimentation because we often do not have the right answers. Through humble thinking and a desire to connect with those less fortunate, we can make a difference. 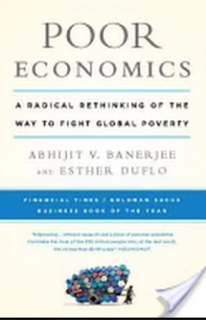 Poor Economics is about the research of two economist on the forefront of this new thinking. They are two of the most thoughtful in the profession.You will read about creative solutions to some vexing problems which will give new meaning to thinking outside the box. 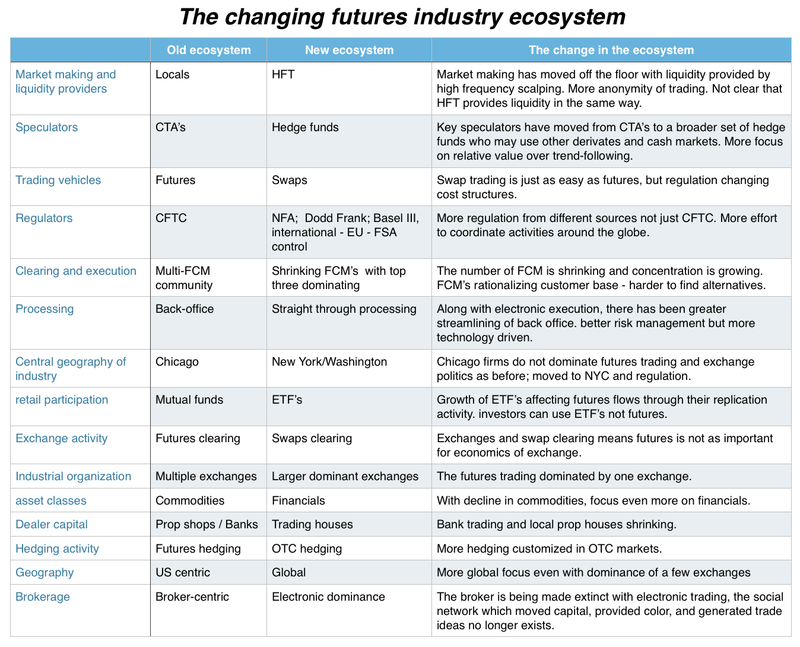 The futures industry has changed radically since the Financial Crisis. Many of these changes were in process before the Crisis, but the new regulatory environment and the further focus on cost cutting has sped the industry change. Brokerage firms have wanted to further cut overhead and the movement to electronic trading has allowed for massive reductions in personnel. 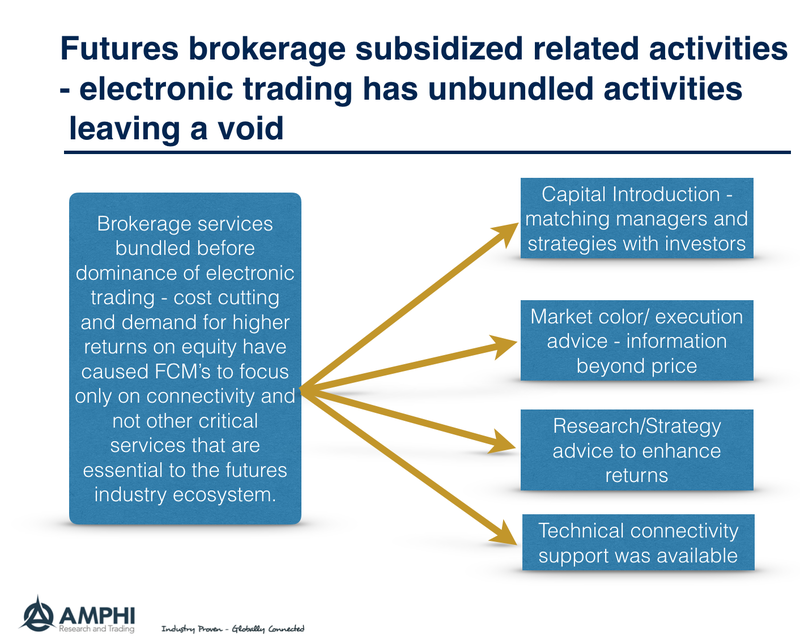 Electronic trading has accentuated and highlighted the unbundling of brokerage services and allowed the cost cutting to occur with volume increases. In the old world of brokerage, there were many of the services bundled in the course of providing execution. There were networking effects and even though it was not often discussed as a bundled service, brokerage was more than just execution. The voice broker served as a social network for and conduit for these other services. In an electronic world, execution through point and click has disconnected brokerage from the other services that were provided through human. In fact, those other services cannot be provided because the FCM or broker may have little interaction with the client trader. Now some traders did not want all of these services and in many cases, the broker/provider was not good at delivery the other services. However, there were choices in the marketplace and brokers who were better at offering other services won execution business. Now, all the services are unbundled and may actually be harder to price and purchase. How much should you pay for capital introduction? Market color or gossip? Research? Paying monthly fees for one good idea may seem odd. 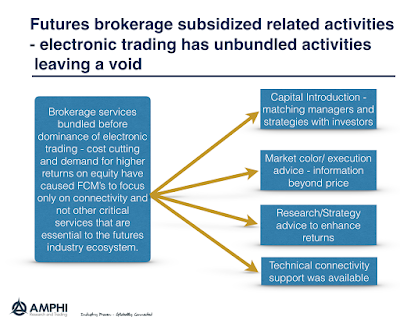 Unbundling the broker services through electronic trading has broken the networking advantages from a wider set of services. Investors may get cheaper execution, but they could be at an information disadvantage that is very costly. Cutting through rhetoric - what is the LEI telling us? There is economic reality and then there is the rhetoric of talking heads about the economy. Depending on the week, we can hear from Fed officials that the economy is ready for a rate increase or you can hear about how "data dependent" decisions require more information. So what will a simple look at the data tell us as we prepare for the holiday? 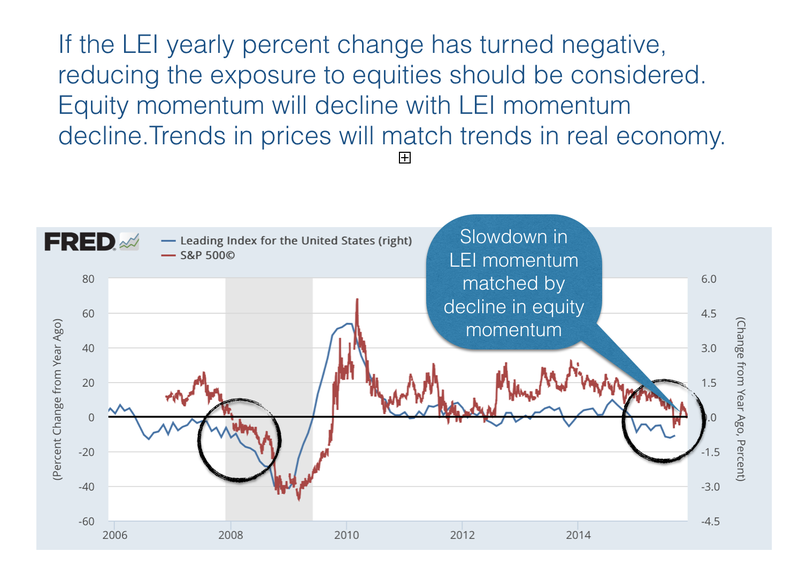 The leading economic indicator (LEI) index has been available for a long-time but sometimes gets missed in all of the talk about the latest economic announcement. It is still a good base indicator that provides early warning about economic downturns. 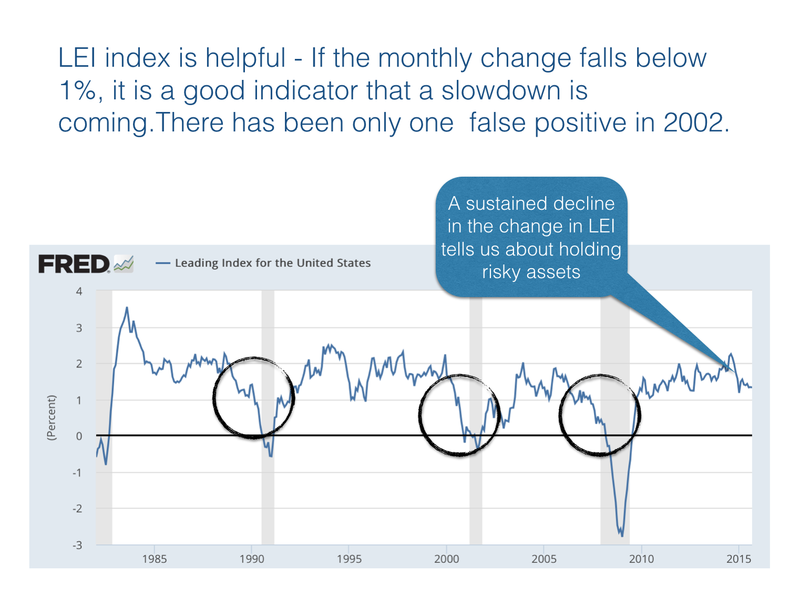 There is no question that if the index turns negative, there will be a recession or you are in a recession. Generally, if the index falls below 1%, there will be a recession. 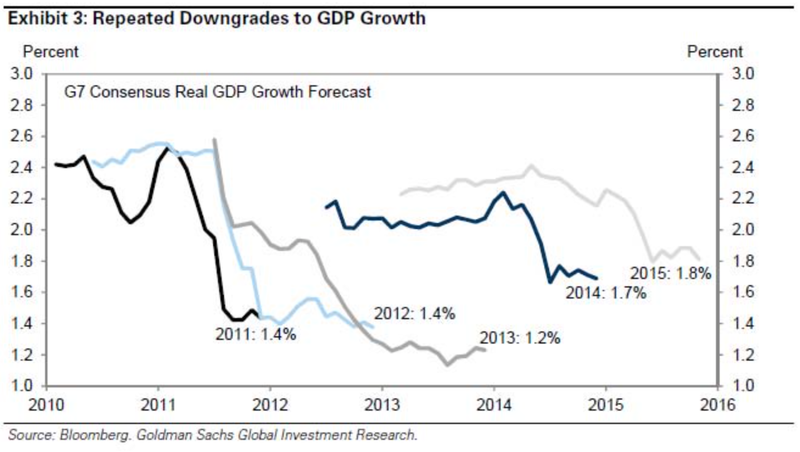 The US economy shows signs of slowing but we are still above the 1% threshold. There should be a concern about the decline, but the rate is still good. Looking at the percentage change from a year ago will show that the LEI has turned negative. It can stay negative for some time without a recession, but equity gains will slow in this type of environment. Reducing equity exposure should be considered for the end of the year. Most have been brought up on learning to be upbeat and positive. Think about positive thoughts and fantasize about success. 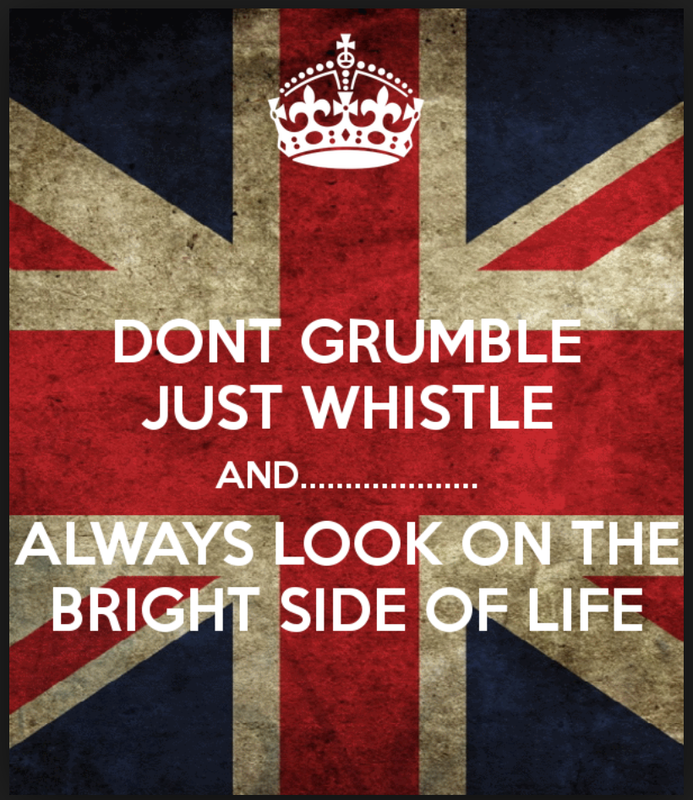 Monty Python has made fun of positive thinking extremes with their song "Always look on the bright side of life". No matter how bad it gets be positive. The latest research suggests that this way of thinking actually harms you. In the book Rethinking Positive Thinking: Inside the New Science of Motivation by Gabriele Oettingen, we are told that the research calls for balance between positive thinking and the potential negatives. Quit with fantasy thinking and engage in reality which looks at both the good and bad for achieving what you want. Balance leads to more success. The author discusses the four step technique of WOOP for balanced motivation. WOOP stands for Wish, Outcome, Obstacle, and Plan, and is a technique for providing motivation and successful thinking without the potential for extreme thinking. Too much positive thinking and you will have greater motivational problems and loses from failure. What does this have to do with money management? There are clear issue of over-confidence with forecasts and expectations. The over-confidence leads to strong behavior biases, but it can also lead managers to be less motivated because they are less aware of pitfalls, failure, and the necessary hard work that is often required with gaining success. Wishing for success or for something good to happen to your positions and views is only going to get you into trouble. 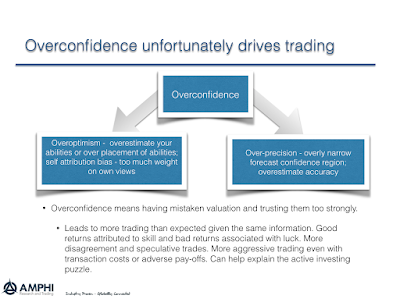 We see the problem of overconfidence in forecasts. Just look at the adjustments in the chart below. I am not saying that a change in attitude will make you a better forecaster, but the research does say that being more realistic of what you are trying to do, including facing obstacles, will allow you to better deal with problems in general. Be a realist, be a pragmatist, and do not believe that willing what you want will get it. Thoughts of money management success has to be tempered with the fact that there is just a lot of hard work and failure with running money and making forecasts. There is a view that managed futures is a long volatility strategy or at least should do well in higher volatility. 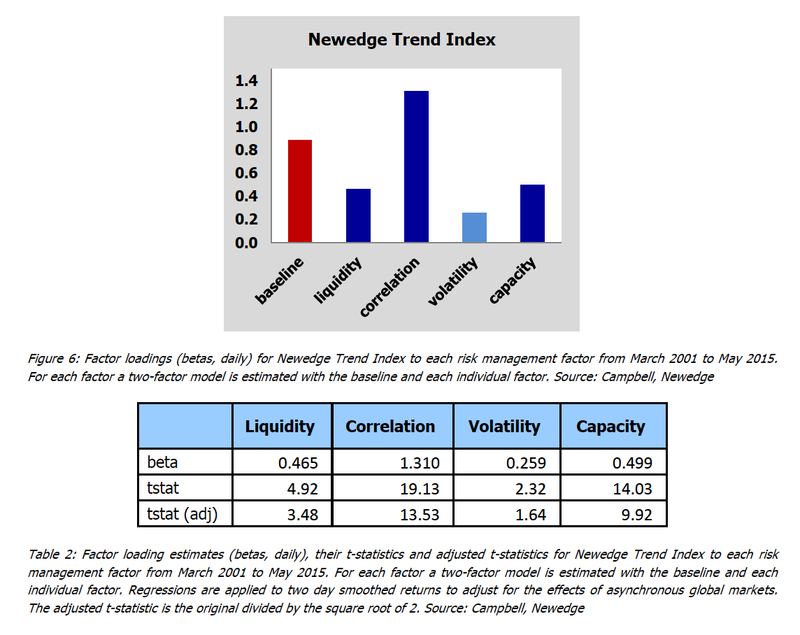 Some researchers have described managed futures as being long a straddle, but a simple examination of the data suggests that the relationship between managed futures returns and volatility is more complex. I ran a simple test across monthly and daily data over the same time frame between the leading managed futures indices and the VIX volatility index. For the period January 2000 until September 2015, I matched the managed futures performance with the VIX index. I compared the average daily and monthly returns for the top 20% and bottom 20% of the sample against the mean return for the entire sample. This is a very simple test and may only be suggestive of the results, but it did cause me to have think more closely about the link between managed futures and volatility. If you believe that managed futures is a long volatility strategy, the average returns for the top 20% of volatility days and months should be higher than the overall average and certainly higher than the lowest 20% of the sample. 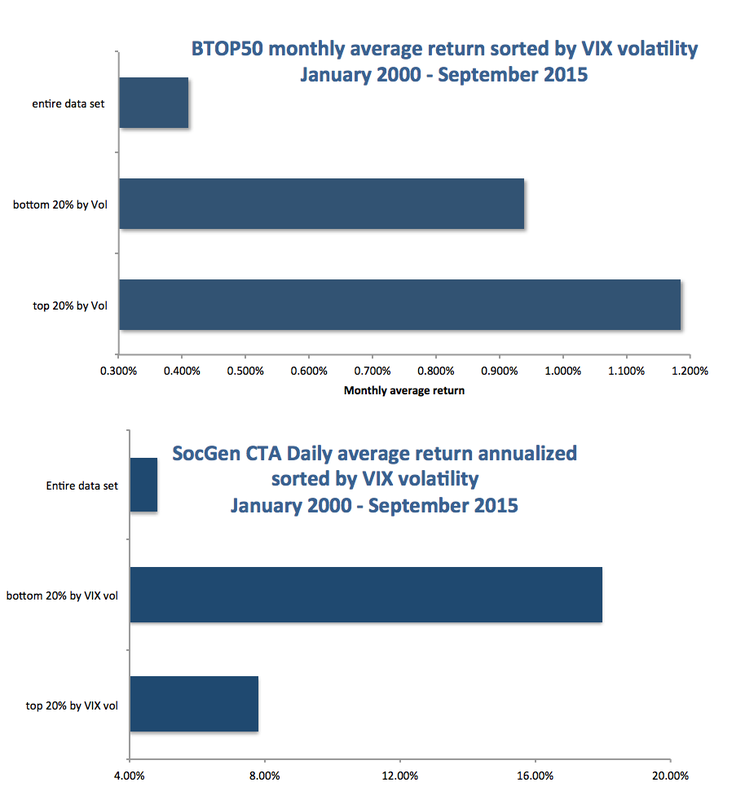 For the BTOP50 index, the results show that the average return for the top 20% of the volatility months were higher than the entire sample by a sizable amount. However, it is interesting that the average return for the bottom 20% of the months also did well. It could be that managers lever up in low volatility periods, but these results do not seem obvious. 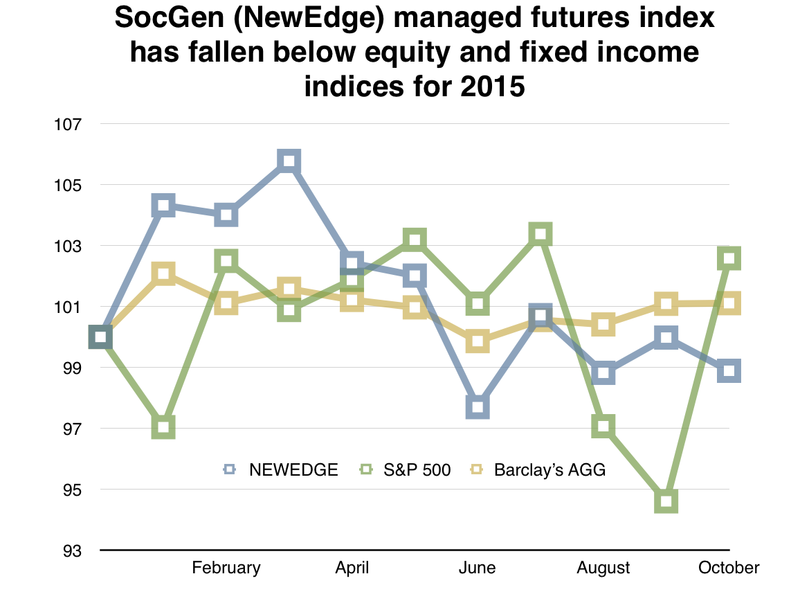 For the daily data using the SocGen CTA index, the results are reversed. The average return for the bottom 20% volatility days is actually higher than the return for the top 20% volatility days. Both do better than the entire data set. The managed futures managers do not seem to like high daily volatility, but they can exploit high monthly volatility. I view managed futures managers as being long longer-term volatility. This allows them to exploit the spread in prices from higher volatility, but they do not like high short-term volatility. High daily volatility increases the likelihood of being stopped out and the stop-out feature makes positions behave like knock-out options. When the stop price is hit, you loss your position. This can explain what the data suggest; however, a closer inspection should be conducted. What holds attention, determines action. 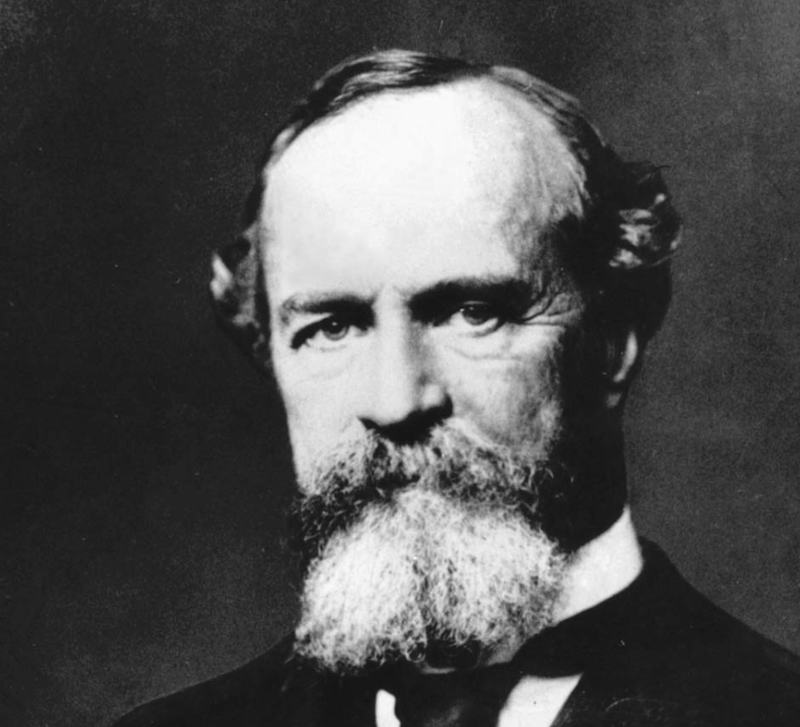 William James is one of the great American philosophers of the 19th century and considered the father of American psychology. He was one of the founders of the pragmatism school of philosophy. His pragmatism let simple reflections drive his philosophical thinking. For example, he thought true beliefs are those that useful to the believer. Truth and usefulness go together. His quote tells us he had an innate sense of behavioral finance even though he did not trade. We have a recency bias and a small sample bias which causes us to extrapolate. There is an availability heuristic which uses the information that is more readily available or apparent to make our decisions. James understood how the simple could attract action for better or worse. While he never was a speculator, my guess is that he would have been a very successful money manager following simple rules as a practical application of theory. 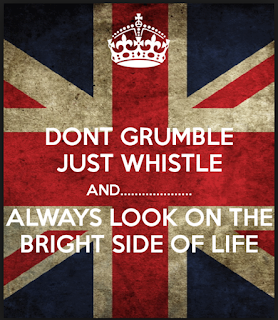 Pragmatism is an excellent foundation for good money management. "The future is already here, it is just not very evenly distributed." There is always a lot of talk about the skill of hedge fund managers when discussing due diligence, but there is not always a close focus on the technology used by managers. Technology includes hardware, software, and new techniques for analysis. There are some who embrace new technology quickly while others adapt slowly. Given the differences in adaptation, technology change will be diffuse. The diffusion may be closed quickly, but it exists and can impact manager performance. The future may already be here, but not for everyone at the same time. This technology differences is not just the use of computers, but more importantly, the use of software to help harness the large amounts of data associated with finance. There have been significant advances in the visualization of data which can improve analysis. There have been better quantitative techniques for processing data. The method for storing data is just simple but important technology. The technology of new ideas in finance also is not distributed equally. Older managers may not have been trained or exposured to new research. For example, while the addition of factors to the Fama-French model may be know by a fair number of managers, it is not evenly accepted by all managers. The ideas behind smart beta are years old but only now being widely accepted. There is a delay between what is found research and taught in the classroom and what is used in practice. The use of trading algorithms for better execution is also not evenly distributed. The level of sophisticated will vary and the best users of technology may not be the largest managers who have legacy thinking and systems that have to be adjusted and adapted. Let's just say that the due diligence of skill analysis should also account for technology and research differences and how managers access and learn new ideas and adapt them to their businesses. Unconstrained or "go anywhere" bonds funds are all the rage with investors who have growing expectations that rates are headed higher, but you may more likely call them "rate surprise" funds if you are not careful. These funds have wider mandates than normal bond funds which are often closely tied to the Barclays Aggregate bond index. Clearly, there are diversification benefits from being unconstrained and there are enhanced opportunities for the good rate manager. Buying international bonds, allowing for an allocation to high yield, allocations to preferred stocks, exposure to high dividend stocks and convertibles are all ways to enhance yield in a low interest rate environment. 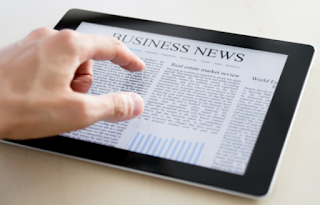 This broadening of the opportunity is a good thing for investors. 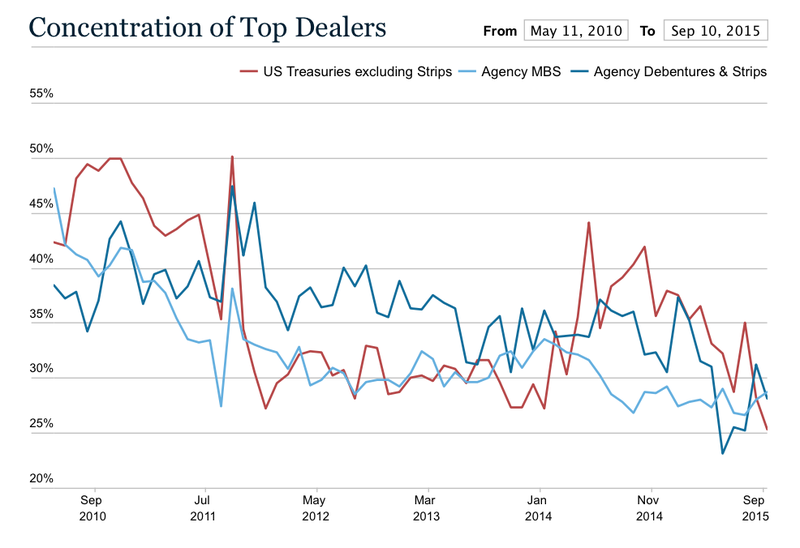 Traditional bond funds only have duration, credit, and mortgages spreads as the choice set. Nevertheless, false assumptions of what these funds can do could lead these funds to be called rate surprise funds. They are still likely to lose value in a rising rate environment. They will also likely have more risk in a declining stock environment or a falling economic growth period. Holding securities that are more equity-like will increase equity risk exposure. Holding riskier credits will subject the fund to more business cycle risk. This higher credit exposure is especially true for strategies that are long high yield and short Treasuries to capture only spread risk. The unconstrained funds may also increases exposure to less liquid credits. 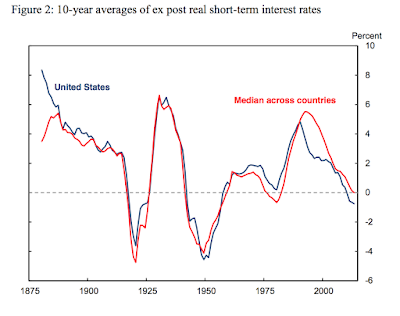 Finally, strategies that are willing to have negative duration will underperform if there are rate declines. Unless the manager is nimble, these bonds funds will not be safe assets during a crisis period. We are strong believers in holding credit risk and carry premium at the right time, but research evidence suggests that these both go through cycles and if you think there is potential for an economic downturn, holding unconstrained bond funds will get you something unexpected, principal risk. Direct allocations to dividend funds or high yield along with managed futures and global macro may be better for investors because the risk premiums are isolated and exposures can be better defined. Intelligence is a form of diagnosis and medical students are taught, "When you hear hoofbeats, think horse, not zebra." In other words, the patient is likely to have a common disease, not an exotic one. The same logic should be applied to investment problems. Look for the obvious answer before developing more elaborate explanations. For example, if equity markets are going down around the world, look first at the simple explanation that there are expectations of a slowdown in growth. 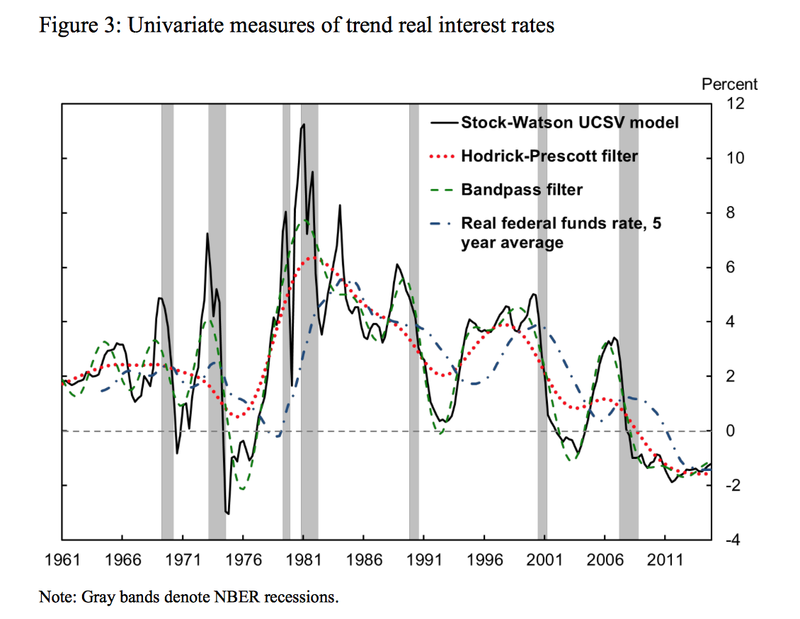 If nominal rates are declining, it is likely driven by falling inflation expectations and slower growth. Do not fight the Fed and liquidity. Of course the world is more complex than just simple explanations, but starting with the broad simple explanations is a good working hypothesis for discussion. If you have an alternative story it has to be framed in the context of how it compares with the common explanation. Contradictory information has to be studied assuming the most likely answers as the prior. Start simple and add complexities and alternatives to your investment thesis. Managed futures has traditionally provided access to the momentum or trend form of these risk premiums in dynamic fashion through trading both long and short through the major futures market. Carry across currencies also can be accessed through futures albeit the set of currencies will not include emerging markets. Size effects cannot be employed except through a few stock indices. Valuation, except through relative global comparisons, is also hard to access through futures markets. There are also some risk premiums that cannot be accessed through futures such as credit. Hence, there is a reason to mix managed futures with some swap or cash strategies or structures. For example, there is no direct way managed futures can get exposure to a credit risk premium, so mixing managed futures which focuses on momentum with credit exposure through collateral usage allows for a combination of risk premiums. A full complement of risk premiums can be accessed for full global macro investing through the more innovative use of collateral. Since most managed futures only use about 20 percent or less of cash for margin, the excess cash not used for margin can be employed in other strategies to access alternative risk premiums. 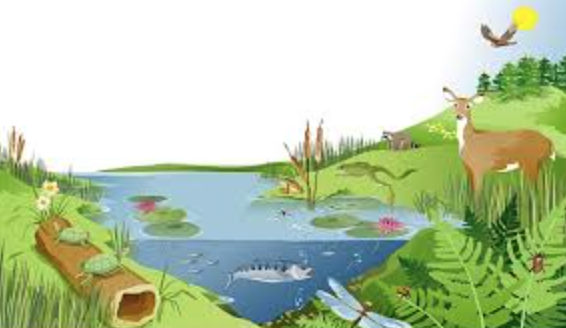 The recent EY survey concerning non-financial reporting on ESG - environmental, sustainability and governance suggests that there is a growing demand for this information and a desire for it to be provided in a systematic fashion. This is more than "feel good" reporting but a focus on issues that can have real risks. From regulation to stranded assets, ESG will spill-over to earnings and financial reporting. This is going to require a more training and skills by analysts who have to incorporate this information in their analysis. It will also affect valuations as these issues will impact demand from institutional buyers. Firms will also have to allocate more money to standardize non-financial reporting and realize that they will be graded on these non-financial goals. The firms of tomorrow will have different accountability to those of yesterday. Currency wars turning into policing by central banks? There has been a hope for a return to fundamentals in the foreign exchange markets with a decline in foreign currency reserve buying. In the last 12 years the foreign currency reserves held by central banks has increased by a factor of 6x from $2 trillion to $12 trillion as measured by the IMF's COFER data, but that flow has been changing with declines in reserves as central banks have sold reserves to arrest currency declines. The return to fundamentals has come back with a vengeance for many countries. Falling commodity prices, capital outflows, declining economic growth have all led to declining currencies not as a means of enhancing exports but as a reflection of poor economics. 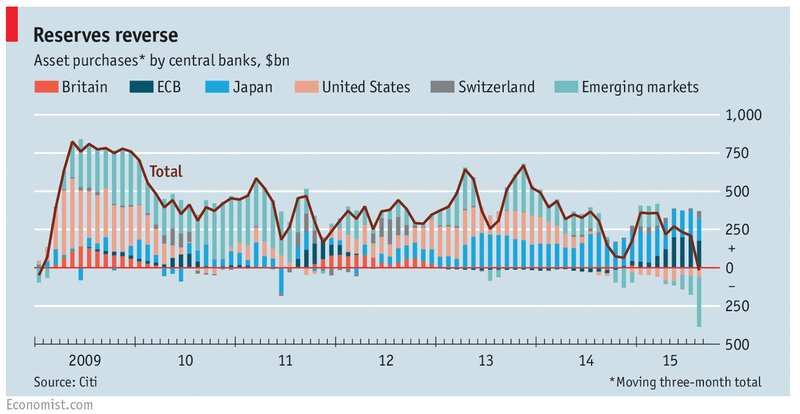 The result may be a change in the terms of trade and exports but not because of anything central banks have done. The currency war of the last decade of using foreign reserves to stop appreciation is now being reversed to a war of controlled declines. Foreign reserves are being used as a buffer stock to control short and medium term fluctuations in currencies. Arguably this can be considered good policy for small economies that are appreciably affected by trade. The investment impact of capital flows can be dampened and the currency impact on both exports and importers can be reduced. The marginal use of foreign reserves to dampen extreme fluctuations can be viewed as police actions between countries as opposed to currency wars. By policing extreme behavior, central banks hope to avert more dramatic actions. The traditional liberal view may not have room for currency policing but with market extremes it may offer some economic stability. However, make no mistake, the slowing of growth around the world can easily turn policing of extremes into another round of currency war to boost anemic economies. With continued slower economic growth around the world further confirmed by the recent OECD forecasts and inflation in the developed world that persists below 2%, the macro story for commodity buying is poor. Add to this environment continued price devaluation from the super-cycle and there is little reason to be a long-only investor; however, that does not mean there are no commodity opportunities. Active commodity trading can be a way to take advantage of this change in the super-cycle, the deflation threat, and revaluation in emerging markets. It calls for careful analysis and a willingness to let go of any thinking about commodities as a stable long-only asset class. 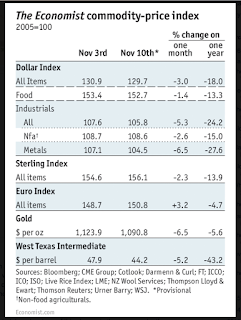 Competition has declined in the commodity markets. The AUM from commodity investing has fallen by 45% from the highs of over $250 billion in 2011. Hedge funds have exited the business. Banks have exited the business. Trading firms have cut back their exposure. Lending and financing in commodities is harder to come by. This all means that for those left there are more opportunities, but these opportunities are consistently on the short side of the market. That direction may change when there is further rationalization or a unexpected supply shock, but right now there is nothing that would call for a long bias other than some sense of price extremism. 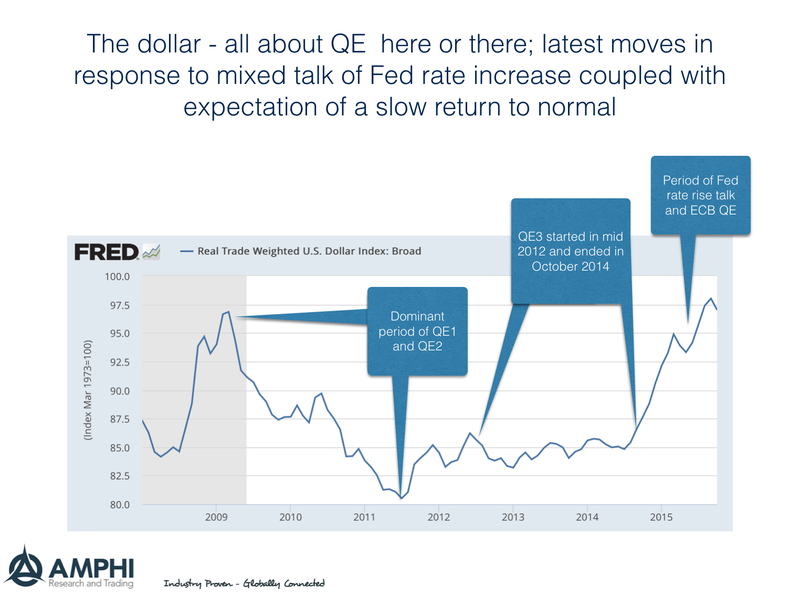 Central bank talk - just too much? This week we had ECB president Draghi say it is "clearly visible" that there are downside economic risks in Europe. NY Fed president Dudley said this week, "It is quite possible that the conditions the Committee have established to begin to normalize monetary policy could soon be satisfied." 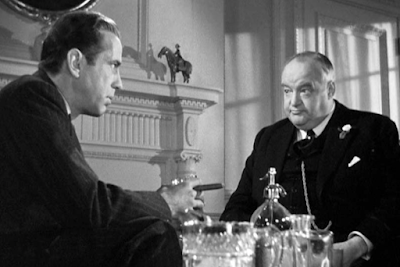 We have the ECB talking about further easing and the Fed talking about normalizing. We have not even included all of the comments by Fed bank president. Do these guys do any real work or just make speeches at one conference after another? Do they really need to keep in practice talking or would the markets be better with closed-mouthed central bankers? I understand that the FOMC has stated that they have a "flexible agenda" and must account for "a wide range of information ... and readings on financial and international developments" but does it make sense that there is more simple clarity in order to enhance creditability? This game of hinting at moves is getting old and adding to market uncertainty. 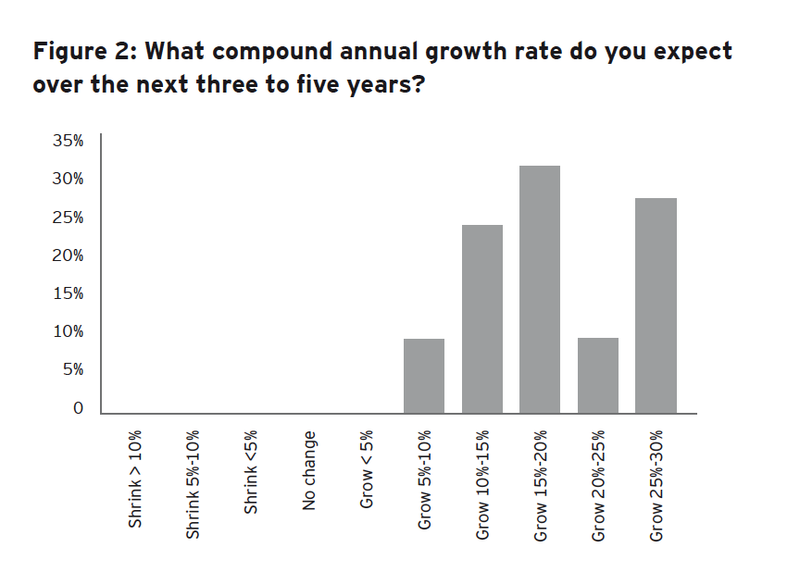 Will the growth expectations for ETF's ever slow? 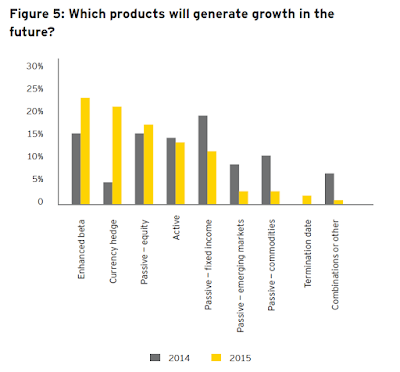 The 2015 EY ETF survey says that growth will average 18 percent for the next three to five year. This exceptional growth means that it will further cannibalize the mutual fund market for retail investors and traditional money managers for the institutional market. This growth is not going to be driven by passive investments but a greater push for innovation in fund products. 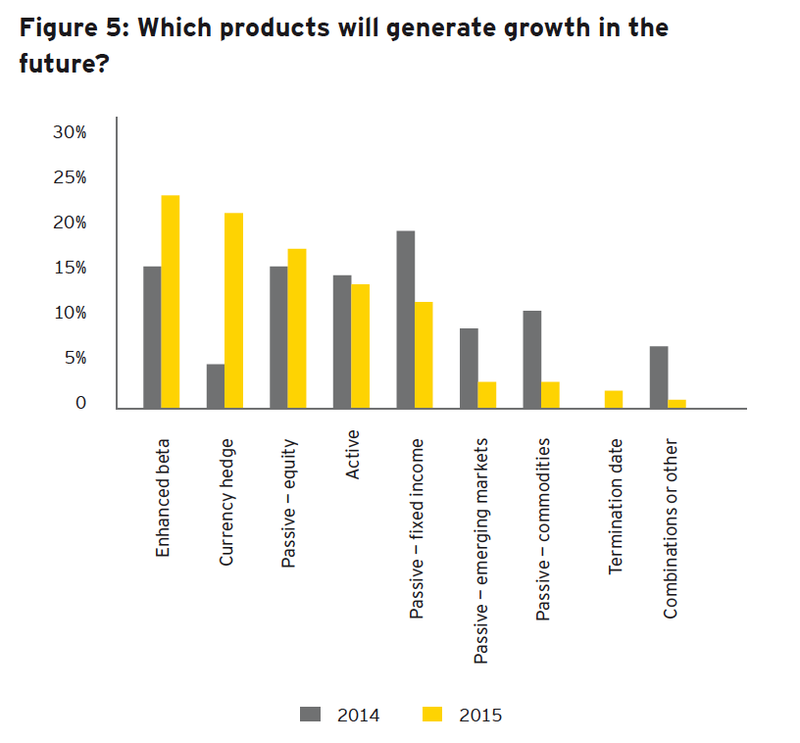 The EY survey says that the big product push will be in enhanced beta and currency hedged funds and not jut passive and pure active ETF's. This push toward innovation has real implications for active mutual fund managers who have been closet enhanced beta managers and hedge fund alpha managers who have used enhanced beta as a technique to generate alpha versus traditional benchmarks. The focus on innovation will continue to make ETF's a disruptive force in money management. With ease of packaging and distribution, new ideas can be quickly released into the market. Innovation will force managers to work harder and cause further firm consolidation and declines in fees. 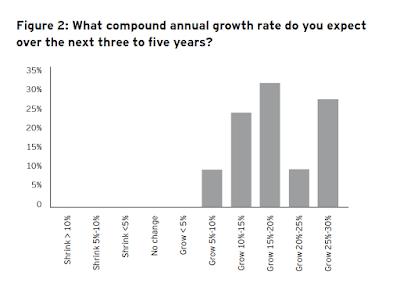 While the survey suggests strong growth, the global ETF market seems to be fractionalized. Europe is different than the US and Asia follows its one rules. What seems to be missing from the growth expectations is the realization that for these products to be successfully sold, there will have to be much more education of investors. I am skeptical whether growth can be achieved without more basic education on the differences in products. However, the mutual fund and hedge fund businesses seem to have been slow at combating the growth of new ETF product. This will be a big industry battle in 2016. The terms alpha is thrown around somewhat casually by many investors. 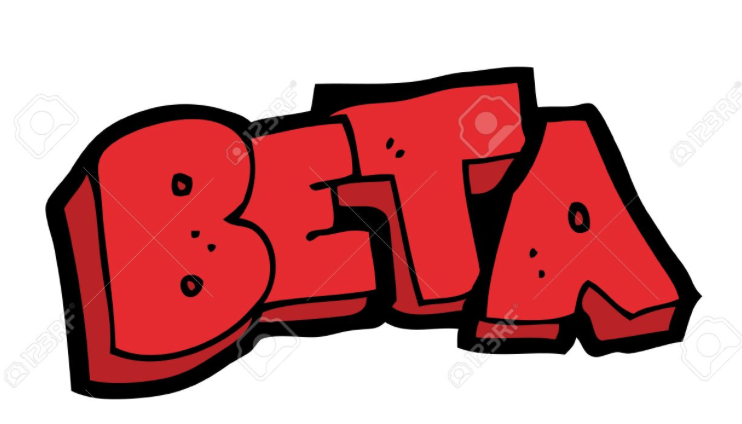 Who does not want alpha? If a manager can broaden the term, he can argue that he has the ability to provide it. On the other hand, smart investors have become more wary of what is alpha. They have spent more time refining benchmarks in order to more precisely separate alpha and beta. Now there is a new term being used; strategic alpha, as provided by the treasury function of the hedge fund firm. There is return to be gained by better managing cash and financing. I agree with this alpha concept and expect a rapid improvement by most firms. There is a competitive advantage for firms who better manage financing. It can add incremental return that is unrelated to the underlying market risk of a strategy. For those who now engage in better treasury management, it will add relative return. If all funds improve their treasury management, there will still be gains relative to existing beta. This should be something everyone does. The regulatory environment makes financing more difficult and expensive. Banks are dropping hedge fund clients, FCM’s are dropping derivative firms. Forming better alliance with brokers and clearing firms is essential for the livelihood of many firms. 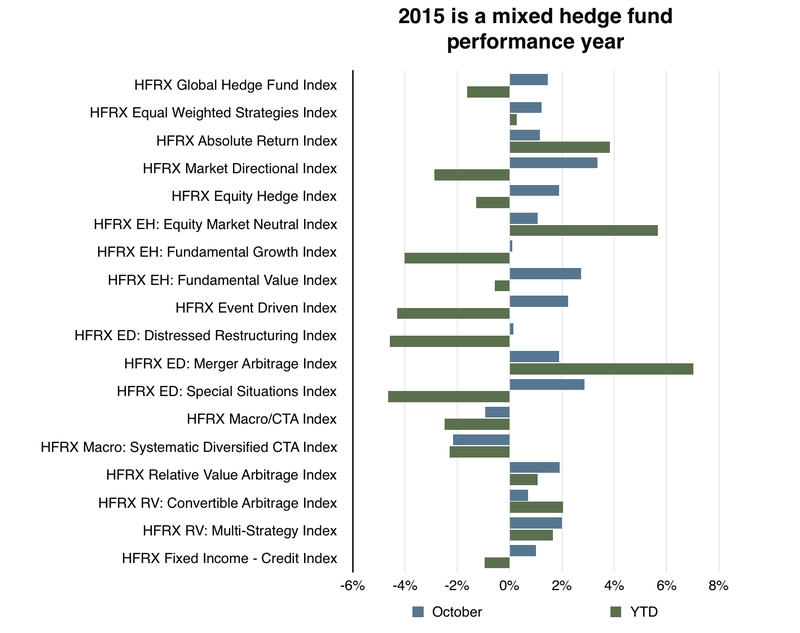 Without a good FCM or PB, a hedge fund will be alpha constrained. Banks and FCM’s do not want hedge fund cash and they want to squeeze more return form their hedge fund clients. Money market funds have more restrictions that make it riskier for hedge funds to park short-term cash. This means that cash management is firm critical for any fund manager. Managers avoided this function because it as not core to their business, but in a changing environment, what is core is being redefined. 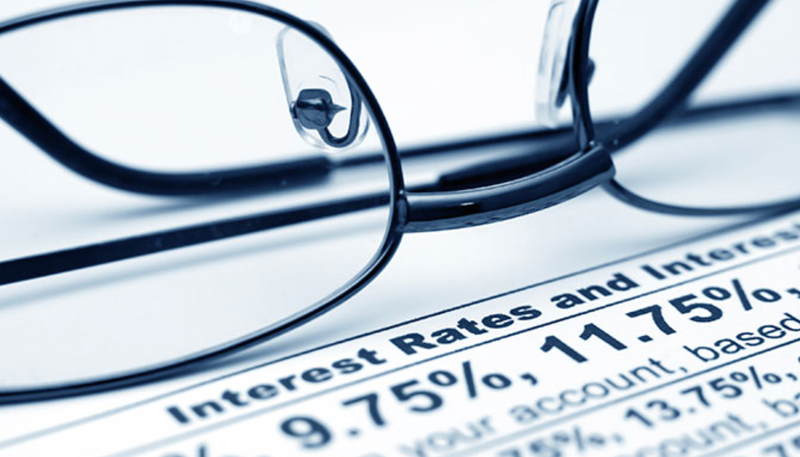 With excess returns falling, every extra basis point that can be gained is important. 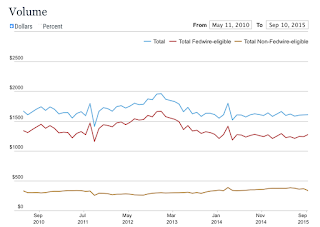 The example of a managed futures fund is illustrative given their high cash collateral levels. It used to be that cash invested in Treasury bills would cover much of the management fee costs of the firm. Take the simple case of 5% bill rates and 2% management fees. The fund would be “ahead” by 3% before trading. Now with rates down to zero, performance is negative before trading begins. FCM’s do not want the excess cash. There is more risk with segregated funds given some FCM failures. Banks do not want the extra cash, and institutional money market funds have new regulatory rules which constrain returns. Managing cash more effectively is valuable even in a low rate environment. Currently, this value may be limited, but if the Fed starts to normalize rates there will be value in moving out the yield curve and managing cash alternatives. Watch for firms changing their cash practices and hiring specialists in financing. Generating and counting every penny will be a required alpha source. There is alpha in the details of how money moves. 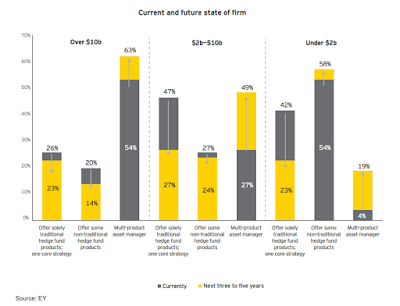 The new 2015 EY global hedge fund survey provides for some interesting industry reading. One detail that caught my attention is the change in focus on what is most important to hedge funds. Its is not about getting better at their craft and generating more alpha. It is all about raising assets which means you have to appeal to the masses. The focus is on diversified product that broaden the scope of the firms. 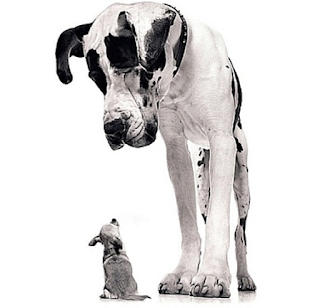 The survey of large, medium, and small managers tells the same story. Forget about specialization with core products. Offer more multi-product solutions. Diversify across strategies. Manage a broader pool of assets. Build a sound firm not one driven by alpha generation. What should happen to alpha? If you believe managers are skilled-based and need to create an information advantage through either collection or processing, then you will not like this new world. Alpha should not be enhanced. Of course, the argument is that hedge managers will be able to broaden their products to provide better diversification at a lower cost. That may be true, but the origins of hedge fund investing was to offer specialized managers with unique skills in a fund that would be different than traditional asset returns or market beta. Previously, there was business risk if a hedge fund did not perform. The focus was on skill because you were a specialist. Now the focus will be on survival and protecting a business. This is bad news for the investor who wants to buy talent. The month really starts with the employment number and that print last Friday tells us Fed action is on for December. Even dovish Fed presidents are talking that it is time. Money managers will be thinking about year-end adjustments based on Fed rate path. Rebalancing under rising rates will be a driver for all investors. We are not very good at weighing evidence. We make assessments about issues and then decide, but our decisions are often based on our cultural identity. Asked if they can image evidence that would contradict their view and then ask if they would change their minds if presented the evidence, the answer for many was no. These are the findings of Dan Kahan and others who have done research work in cultural cognition. This has been the focus of a growing number of researchers at the cultural cognition project. 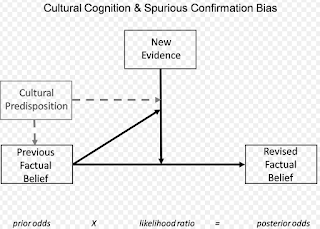 The Cultural Cognition Project is a group of scholars interested in studying how cultural values shape public risk perceptions and related policy beliefs. 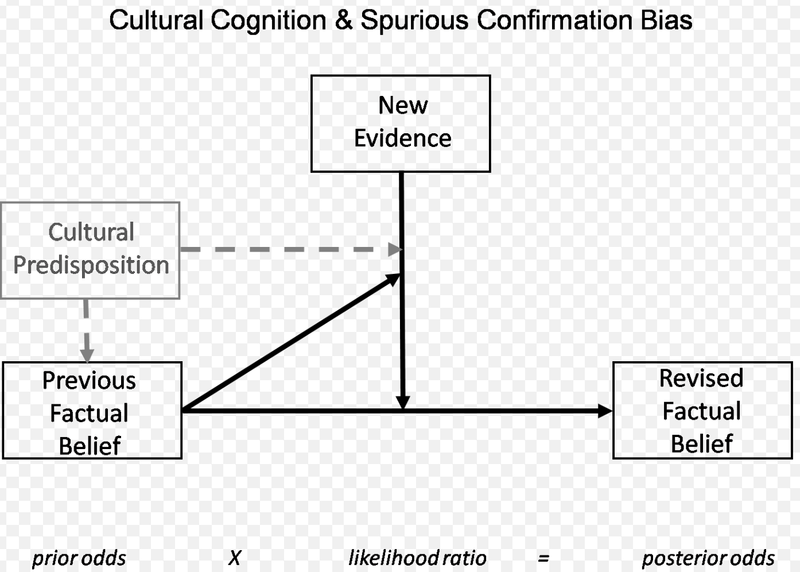 Cultural cognition refers to the tendency of individuals to conform their beliefs about disputed matters of fact (e.g., whether global warming is a serious threat; whether the death penalty deters murder; whether gun control makes society more safe or less) to values that define their cultural identities. Cultural identity will have an impact on how research is presented and will bias how managers may look at a problem. For example, Larry Summers and has views of secular stagnation present one model and cultural view that will affect forecasts of Fed action. This filter will have a big impact on how he looks at new information about the economy. If you agree with Summers, you will view data in a similar fashion. Some may call this just a model view, but there may be more going on here. 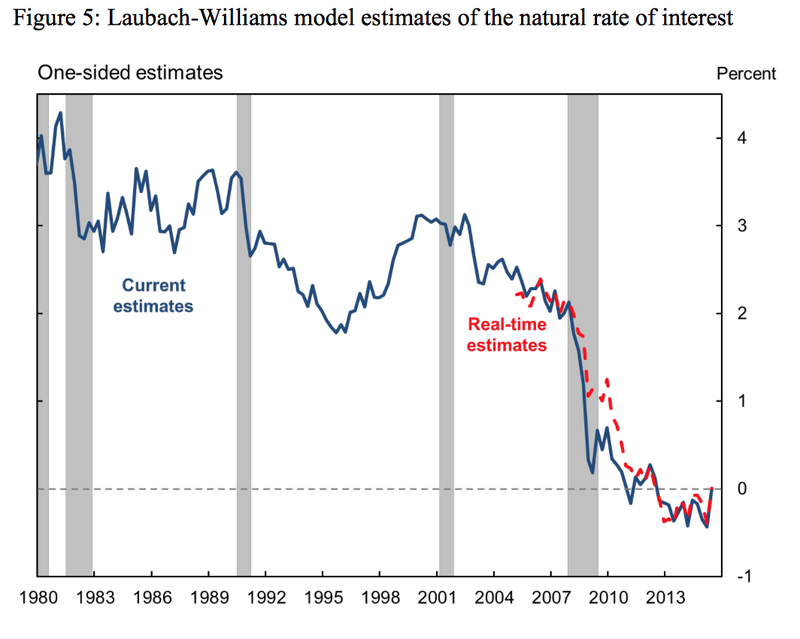 This view may bias what you think the Fed will do with interest rates. You cannot divorce your cultural view with your forecast. The standard approach for cultrual cognition is to use the following 2x2 matrix to describe how groups may filter information. I don't think this model applies to finance, but a model bias or view of the world will affect how the likelihood function is used when given new information is presented. 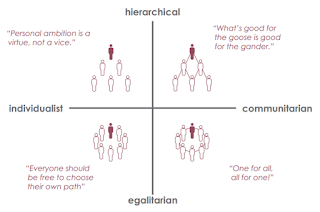 I will argue that systematic modelers are different than discretionary decision-makers who may have a greater cultural bias or are influenced by the cultural norms of their peers in the industry. There is a New York - London global macro bubble and those who are in it are more likely to think alike and look at data differently than the systematic manager who is away from a major city. Keynes was aware of this when he discussed beauty pageants and the willingness to fail with others rather than thinking on your own, as well as the issue of many being ruled by the ideas of some defunct economist. Cultural norms will affect risk perceptions and what data is important in the macro-economy. This is not a well-defined idea in finance, but I think it is well worth further discussion. Physicist Enrico Fermi was renowned at being able to come up with good estimates to answer seemingly intractable problems. He did this through breaking down the problem into more manageable subproblems and then went through a process of combination. By doing this, he was able to clarify and examine key assumptions along the way. He was an expert on dimensionality analysis and approximation. He was able to look at problems and determine by the number of steps in the estimate the correct order of magnitude with some precision. 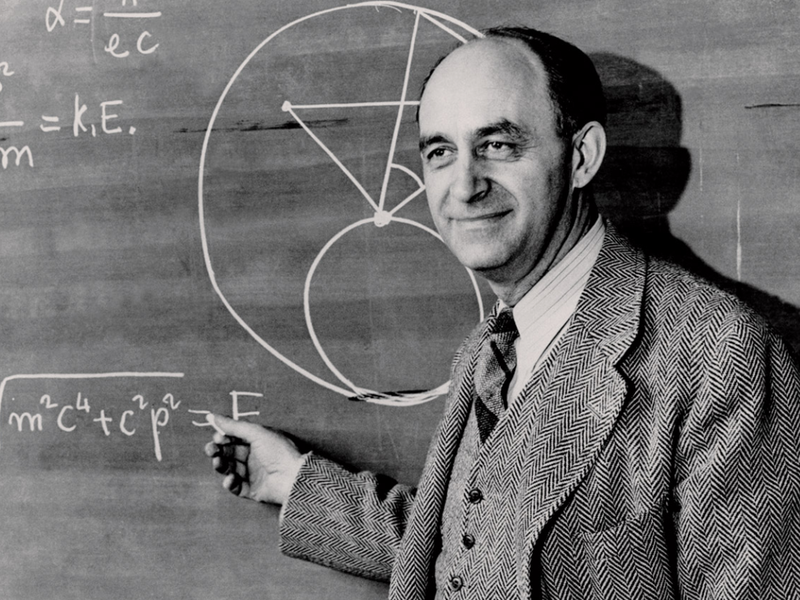 The intractable problem that requires a Fermi-ized estimate has now become a standard interview question for many firms. For example, "How many cigar smokers are there in Denmark?"Boston?" Ok, in reality, most are not going to be faced with these questions, but the focus is on the logic of how you would arrive at an estimate. For many trading problems, the focus has to be on the process of getting an estimate for a forecast. The problems may not be intractable, but they may require some guessing that needs some bounds. 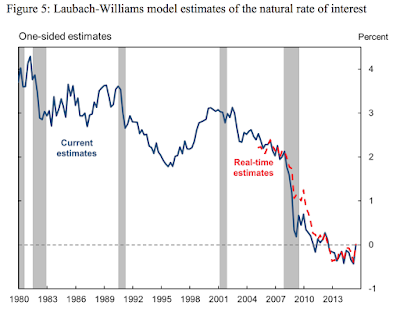 Take the simple case of estimating whether the US will get 2% inflation. Many suggest that if oil prices go up it would not take much for inflation to reach 2%. The forecast will be a function of how important are energy prices to the inflation index and then computing how large an increase in oil prices would have to be to get the index to 2%. If you have a guess on oil with a probability measure, you should translate that information into an inflation estimate it some confidence. The forecast process can be broken into subproblems that can be reviewed to generate the end prediction. You may be wrong with the forecast, but the estimate will be based on clear assumption that can be explained to others. The future of whether raising interest rates by the Fed will work hangs in the balance through the repo and not the Fed funds market. If the Fed can control reverse repo, it will be able to impact the key credit channel away from banks. The shadow credit markets are where the action is for lending and that is more likely to be driven by rates outside of banks. 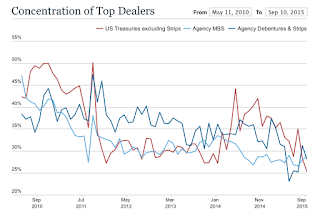 The Fed knows this and has focused on new tools to monitor the repo market. 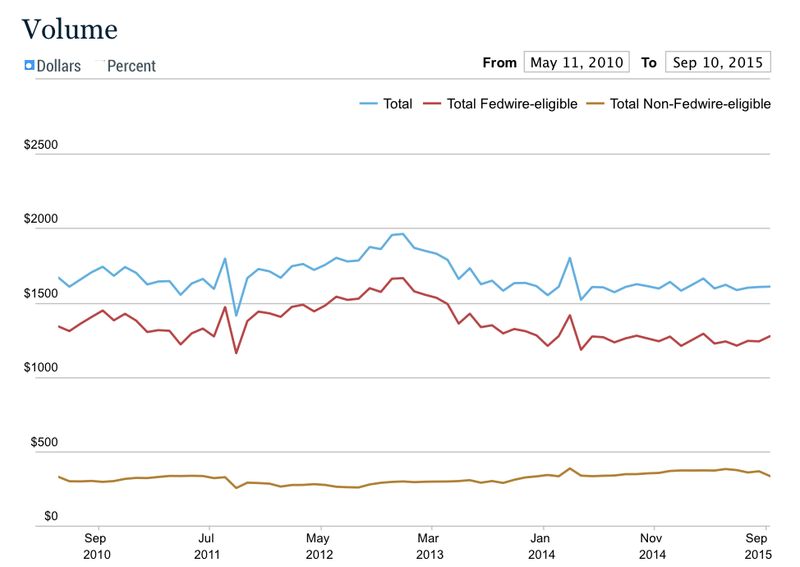 See the new tool for monitoring by the NY Fed. The NY Fed is now able to watch volume, haircuts, and concentration levels for tri-party repo and show current levels versus historical data. The volume numbers are interesting, but what has really caught my attention are the haircuts for different types of collateral. 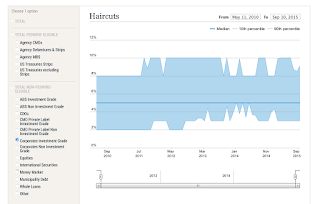 Changes in haircuts will provide an early warning on the risks for certain types of assets. I would be concerned if the haircuts start to increase because it is telling the market that there are more risks in markets. 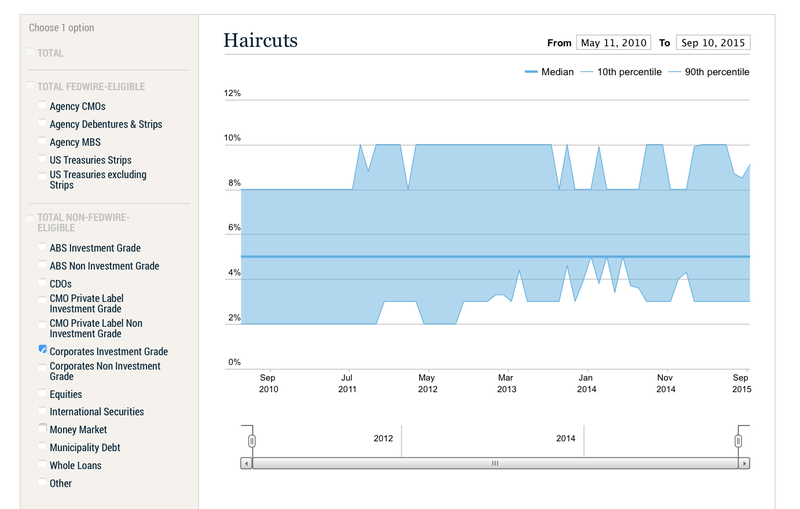 If there is going to be a market gridlock, it will start with the haircuts in repo. Are you, as David Sklansky the poker player would say, "At war with luck"? This issue was analyzed in a recent Game Theory posting in the Economist. The article focuses on the role of skill versus luck in poker. 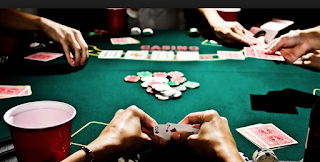 A recent research piece showed that 76% of a sample of over 100,000 hands of poker were determined before a showdown, that is, before cards were revealed. 49.7 percent of the best possible hands that could have been made were folded before a showdown. Poker is often won or lost by in-game decisions and not by luck at the end. As has been commented in other places, you can deliberately lose at poker. That is not the case for a game of luck. Hence, there is skill with poker. The same can be said with trading. Most of the gains or loses are made through in-game decisions. You can get stopped out, you can take profits, you can size the trades wrong, you can act before your forecast is realized. There are a host of decisions that will determine your success before you even get to the point of measuring whether the market had gone in your direction. This is not an issue of gambling, but rather your skill at money or risk management and you ability to read the situation. Hedge fund managers never like to talk about the association between poker playing and trading but the analogies are real. The managed futures and global macro strategies are usually a testimony to the power of broad diversification. 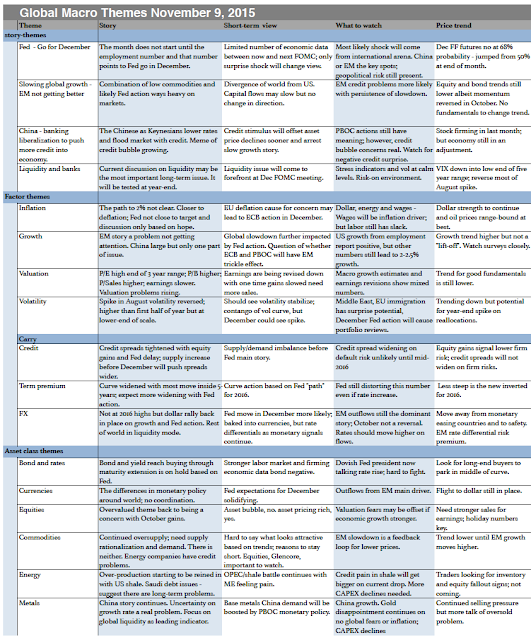 These strategies will do well when there is a major dislocation in either stocks or bonds given they may be some of the most diversified strategies in the hedge fund space. 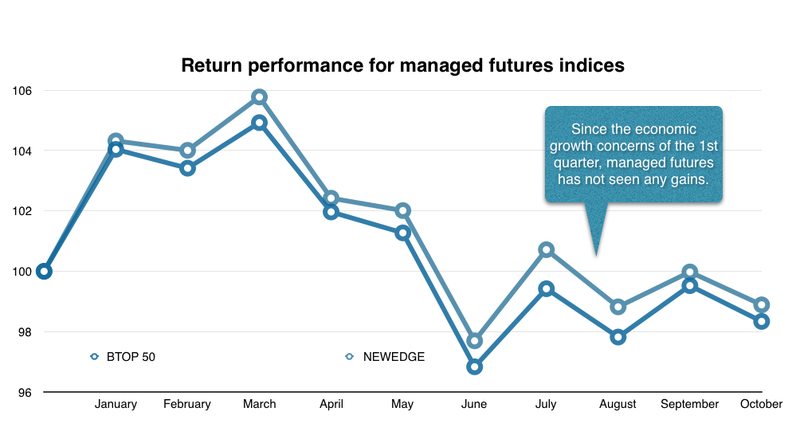 A review of equities, bonds, and managed futures, finds that managed futures has been the laggard for the year. 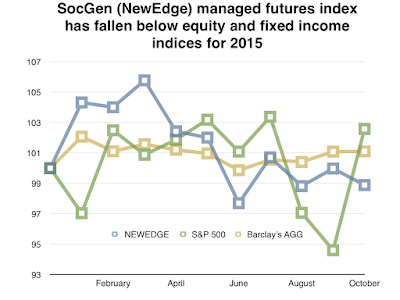 Fixed income has been flat for most of the year with a gain of just over 1 percent. Equities have been on a 3-month roller coaster with October performance offsetting most of the losses in August and September. 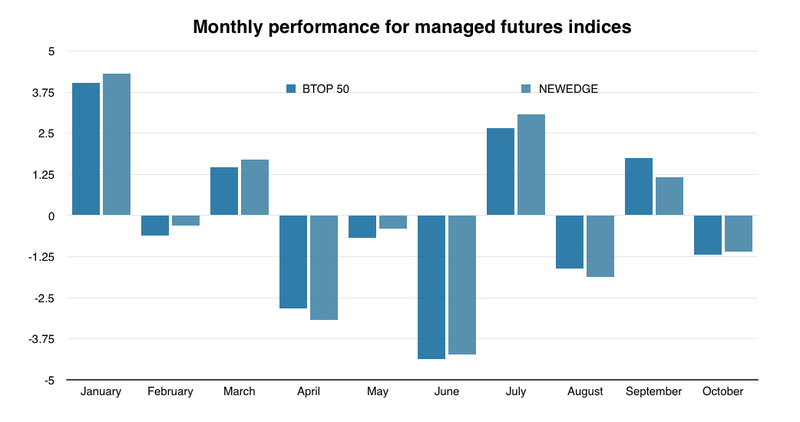 Managed futures has moved sideways for the last three months as fixed income opportunities have been limited and the quick reversals for equities have been harder to capture in a manner that will drive positive returns. 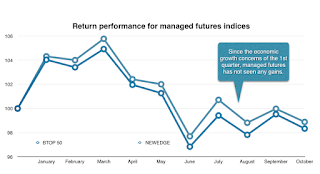 Managed futures proved to be a good positive diversified for the first quarter and served as an equity dampener during the summer, but it has not been a strong return enhancer. With global growth expected to further weaken, differences in monetary policy, and the potential for equity markets to move closer to fundamentals, the next few months may prove to be a better performance period. At this point, managed futures needs to show that it can not only diversify but also achieve positive returns. 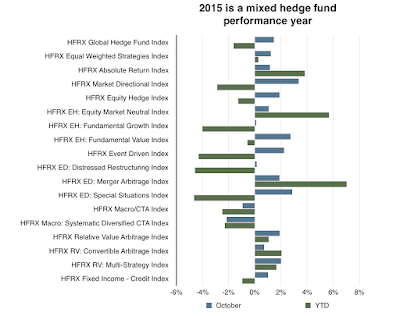 October hedge fund performance did not match the strong returns in equities. These strategies are not suppose to have high returns in a strong directional month. Betas are just lower for these strategies and alpha is sometimes harder to come by in pure directional up markets. As should be expected, the market directional category did well albeit it was less than half of the S&P 500 move. Surprisingly, special situations and event driven strategies both performed well. The global macro and CTA index were the worst performers for the month while diversified multi-strategy funds showed good gains. For the year, merger, market neutral, and absolute return were the best strategies while event driven, distressed, and special situations have been the worst strategies for 2015. Interestingly, the best for the month have been the worst for the year. With fixed income flattish for the year and equities moving back into positive territory for the year only this month, hedge funds have shown mixed absolute and relative success for the year. A number of strategies are strongly negative and unlikely to turn positive for the year unless there are returns that are greater than one annualized standard deviation. It is hard to expect managers to make that performance in a sixty day period when we know that markets slow during the holiday periods. Money has still flowed into the alternative space, but returns have disappointed on both an absolute and relative value basis. 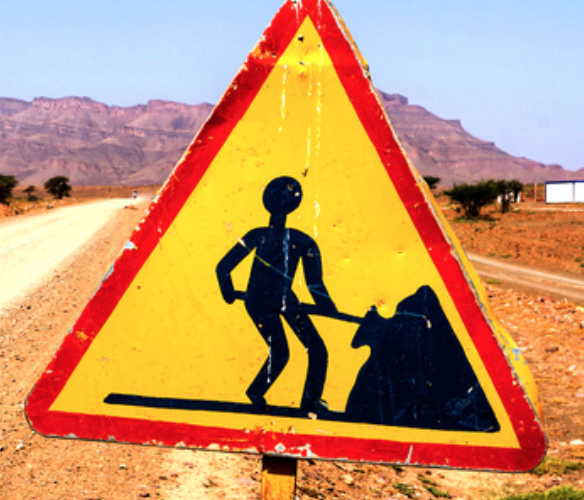 Many skill managers have stated that it has been a tough market for making money, but investor patience is something that is always in short supply when it comes to demanding returns.The end of the year should see more hedge fund fall-out for small firms that have under-performed. Scale and rationalization will be occurring after these returns. Equities saw the best month this year with a total return of over 8 percent for the SP 500, but the good news in equities did not translate to positive returns for global macro and managed futures strategies. Both the BTOP50 and Newedge CTA index posted negative returns. Returns have moved sideways for the last five months for these strategies and are significantly off the highs seen at the end of the first quarter. Diversification can be a two-edged sword for managed futures with many of the other markets sectors seeing reversals and little net change for the month. Even equity returns were the result of a sharp reversal at the end of the third quarter, so the managers who were short the longer-term trend were caught with losses during the first half of the month. The key theme for the month was risk-on, so fixed income reversed gains in the second half of the month as money flowed to equities. Central bank liquidity was the driver for this risk-on switch. With Fed action pushed out to at least December and more likely 2016, ECB comments from president Draghi that more QE is likely in Europe, and a major reflation in China, the markets have jumped on the liquidity bandwagon. 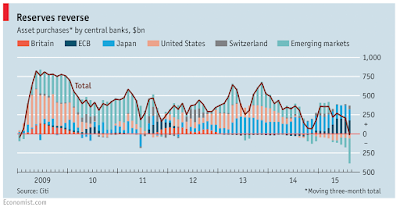 Arguable there are reasons for more liquidity as global growth seems to be slowing. In this risk switch, trend-following was not the proper strategy play. Equities - One again, we learn that it is never good to fight central banks. It does not matter whether current central bank guidance is muddled. 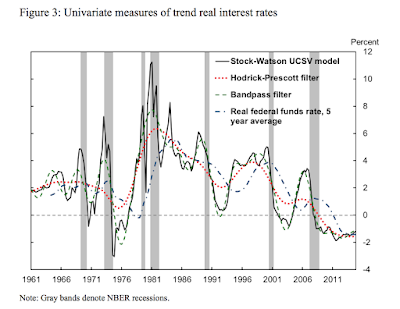 If there is a tilt to easing, risk assets will be demanded. Don't fight central banks. Fixed income - Bond prices for the year peaked in October with global rates moving higher on central bank messaging. Yields in the front-end of the curve increased in the 3-6 month range under expectations that the Fed will make their policy change by March 2016. 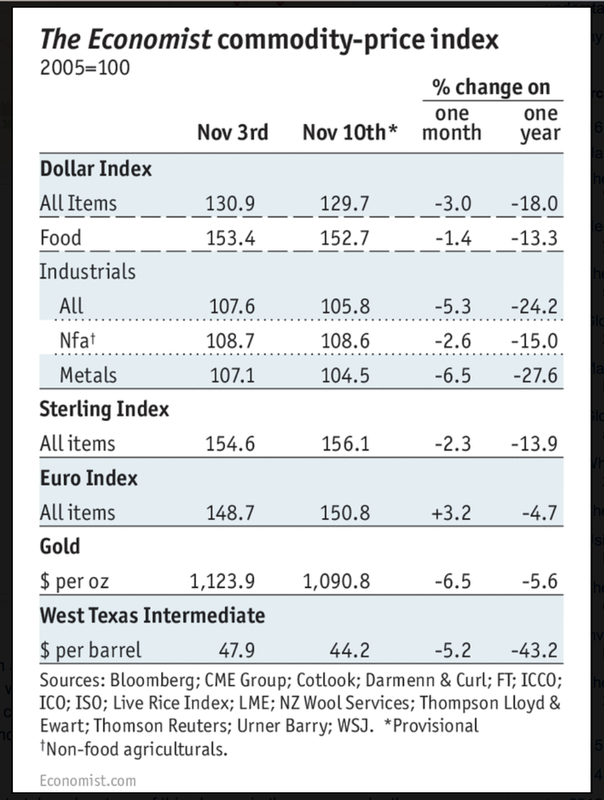 Currencies - Money moved to the dollar and away from countries that presented more expansionary credit or dovish talk. EM market outflows may have slowed versus the last three months, but the risk-on trade has not really reached these markets. Given Fed uncertainty, the dollar has not reached new highs. There was not enough price action for strong trend opportunities. Energy - Natural gas continues to move lower while crude oil has been more range-bound but with higher volatility. The oil market has bounced off lows in the mid-40's but there are not fundamentals that will push oil higher. 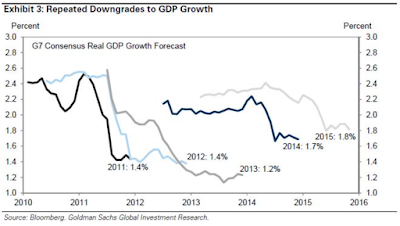 Slowing global growth is not going to solve the current supply glut. Metals - Precious metals were range-bound. With no inflation or geopolitical risk, there is no reason for increasing allocations. Industrial metals have bounced near year lows. The weakness in industrial China will not allow prices to move higher. 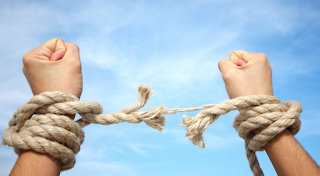 Rationalization of supply does not happen quickly. Commodities - There was little to exploit in the grain markets. The presence of V-shaped pricing formations made for poor trend opportunities ins one of the softs and those trends that did exist were in generally low allocation markets. Th lessons from October are clear. Range-bound markets are never good for managed futures or global macro. Whether trend-following or fundamentally driven, these traders need divergences that create meaningful price signals that can be exploited. Markets that were not range-bound showed strong v-shaped patterns. In the transition, trend-followers or major fundamental traders will not make money. The adjustment from one direction to another is always going to be painful. These changes were not dramatic outside of equities, but enough to drive returns into negative territory. Superforecasters - what does it take to be great?